PNAS Cover image: Pictured is a fragment of Antarctic glacial ice with embedded air bubbles. Thomas K. Bauska et al. measured the isotopic composition of carbon dioxide trapped in the ice to study changes in Earth's atmosphere during the last deglaciation between 20,000 and 10,000 years ago. The results reveal several instances of rapid rise in atmospheric carbon dioxide and suggest that two events were driven by a loss of land carbon that occurred over hundreds of years. See the article by Bauska et al. on pages 3465–3470. Image courtesy of Thomas K. Bauska. After decades of studies, scientists now believe that a breakthrough in preserving body organs for the purpose of saving lives is close at hand. A heart or lung is kept viable for transplantation for only six hours before deterioration begins. Pancreas or liver would go to waste after 12 hours in storage, and a kidney could be kept outside the body for less than 30 hours. These time constraints pose a tremendous logistical challenge for the procedure of transplanting donated organs. Transplantation stands the best chance to succeed when performed as quickly as possible after the donor surgery, and given these time frames, many organs end up going to waste. One of the main problems standing in the way of storing organs for more than a few hours is ice growth. When organs are frozen, expanding ice crystals damage the cells in a way that they cannot be revived. That is why an organ such as heart, kidney, liver, lung and intestine, that is removed from a donor is kept cooled but not frozen, and its life-span is not longer that several hours. "The ability to freeze organs and to then thaw them without causing damage to the organ itself would be revolutionary in terms of our chances to save lives," says Prof. Ido Braslavsky from the Institute of Biochemistry, Food Science and Nutrition at the Robert H. Smith Faculty of Agriculture, Food and Environment in The Hebrew University of Jerusalem. Perfecting cryopreservation – the process of preserving cells, tissues and organs in sub-zero temperatures – would enable long-term banking of tissues and organs and efficient matching between donor and patient, eventually saving lives of millions of people around the world. Prof. Braslavsky is one of the top researches contributing significantly to this field of research. His work was recently featured in an article in The Economist (http://econ.st/1T0cVim). 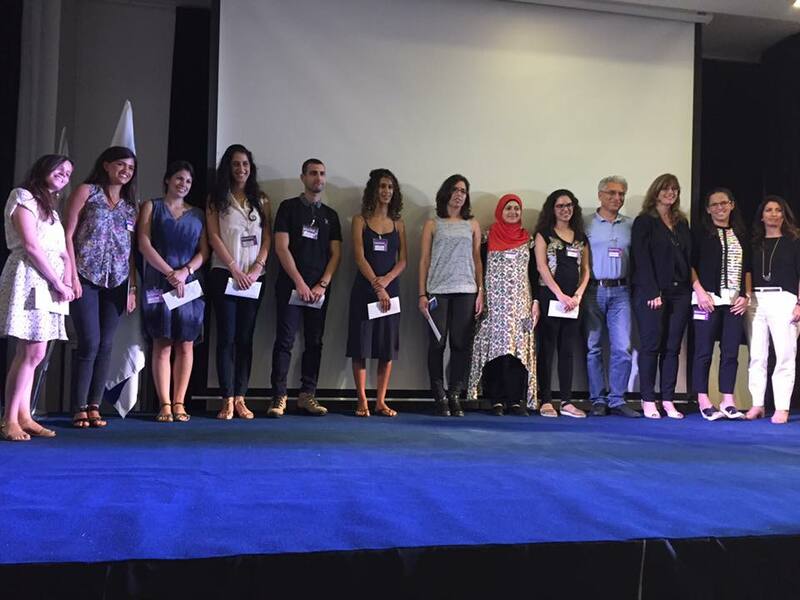 Together with his Hebrew University team, including Dr. Maya Bar Dolev, Dr. Liat Bahari, Dr. Amir Bein, Dr. Ran Drori, Dr. Victor Yashunsky and others, and in collaboration with Prof. Peter Davies from Queens University in Canada, he studies Antifreeze proteins – a type of ice-binding proteins that help organisms to resist or to withstand freezing both in sea and on land. Ice-binding proteins were discovered some 50 years ago in Antarctic fish and are now known to exist in cold-resistant fish, plants, insects and microorganisms. They actively inhibit the formation and growth of crystalline ice, and their superiority over other antifreeze substances is that they are needed in very low amounts to do it effectively. "We investigate the interaction of ice-binding proteins with ice crystals. Since we are working at temperatures of sub-zero Celsius degrees and we need high accuracy of working temperature, we designed a specialized microscope with a stage cooler that allows a millidegree-level control of temperature and also freezing. Using fluorescent illumination, we can see where the proteins, which are tagged with fluorescent dyes, are located. 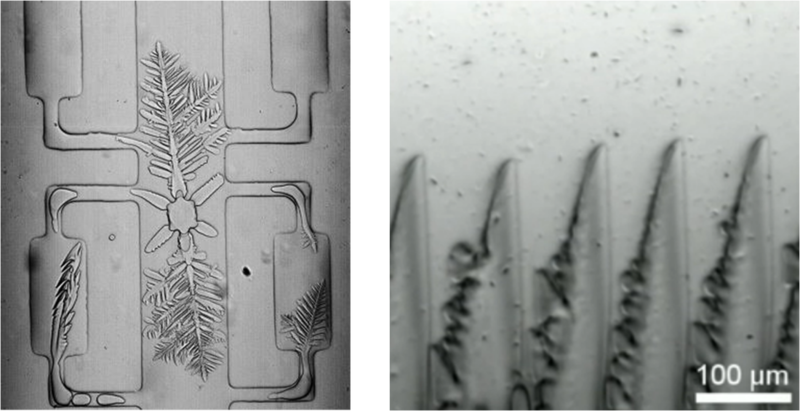 With these devices, we can follow ice crystals as they grow and melt in the presence of ice-binding proteins," Braslavsky explains. Braslavsky and his students showed that ice-binding proteins absorb to ice via irreversible binding. This study explained how ice-binding proteins stop ice growth, a major mystery that puzzled scientists in the field for decades. With continued research, "We found that proteins in insects are much more efficient in inhibiting ice growth than proteins in fish, but fish proteins bind faster to ice," says Braslavsky. This finding, published in Langmuir and RSC Advances in 2015, could be crucial for the use of these proteins as cryoprotectants. "Ice growth also poses a major problem in frozen food," says Braslavsky, who also works with his team on the implementation of ice-binding proteins into food. "Many are familiar with ice cream that has lost its texture in home freezers, or meat that has lost a lot of its liquids and doesn't look or taste fresh after thawing. Ice-binding proteins may allow the control of ice in frozen food and the developments of new frozen treats. Some food manufacturers have already started using ice-binding proteins in their products." Braslavsky's pioneering work in studying the interaction between antifreeze proteins and ice is now expanding to developing cryopreservation techniques that will allow revival of cells and tissues while restoring their form and function. Prof. Braslavsky's research is supported by the European Research Council (ERC), the European Union’s Seventh Framework Programme (FP7), and the Israel Science Foundation (ISF). Research in cryopreservation has been the focal goal of the Organ Preservation Alliance (OPA), an American NGO established in 2014. The organization aims to accelerate and coordinate research towards banking of human organs, and it says that for the first time, this goal is within reach. Last year the first global Organ Banking Summit was convened in California, bringing world-leading scientists, investors and policy-makers together to "stop biological time" and transform transplantation. It followed an announcement by the U.S. Department of Defense, of the first-ever government grants targeted at organ banking. While the race is on, Prof. Braslavsky is hopeful that the cryopreservation research is on the doorstep of success. 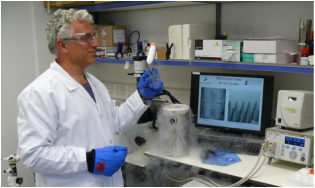 “Recent developments in cryobiology methodologies and the use of materials with specific interaction with ice crystals such as ice-binding proteins open the possibility for significant advancement in cells and organs cryopreservation,” he says. Congrats to Corey Stevens from Peter Davis group for his paper!